All the lights are green once again, and we’re connected back up to the interweb. It was only mildly traumatic for my husband this time, having gone through it once before when we unexpectedly lost our DSL line. It was bitter, but he lived through it that time, so he knew he could do it again. 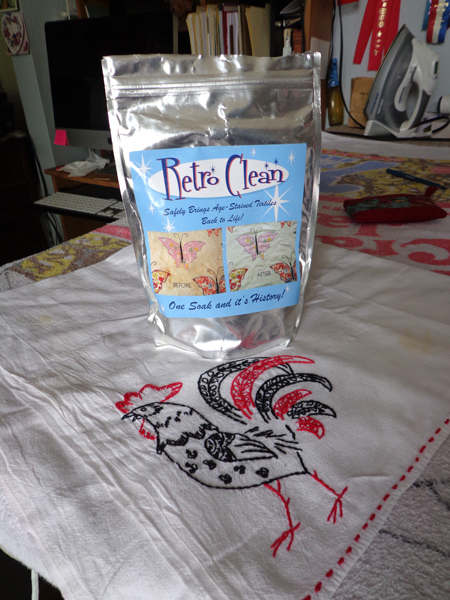 Retro Clean to the rescue again! 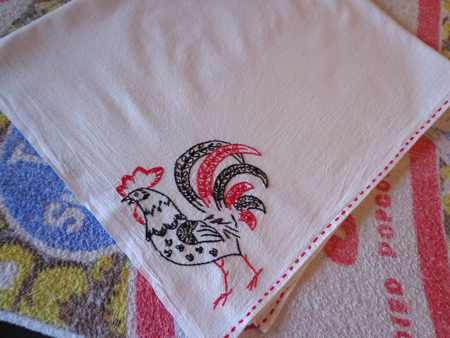 Somewhere in my journeys I picked up this cute vintage rooster towel. It had a stain on it, but I wasn’t worried about that. I got out my trust Retro Clean! Now I must admit that the spot didn’t come out completely the first time. 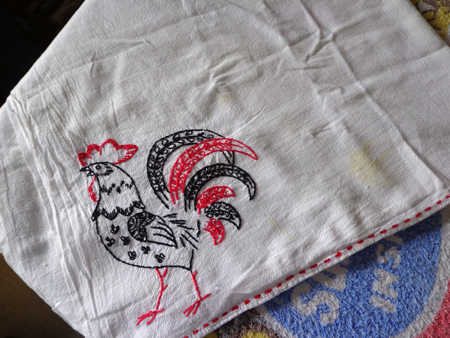 Since it was not a pressing matter, I set the towel aside to give it another whirl next time I had some other things to soak. This time I left it the whole two days, and voila! Here’s the first post I did about Retro Clean. Thanks you so much Mindy and Larry for inventing this product! 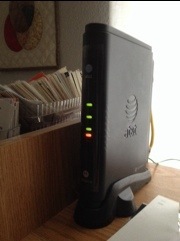 Our interweb is down for a few days. My number one suspect… cat hair. Even the Uverse can be brought down by cat hair. The red light of doom. See that red light? That’s not good. Our winner from the drawing for Animal Parade is No. 9, Patricia! Congratulations, and enjoy all those adorable animals! 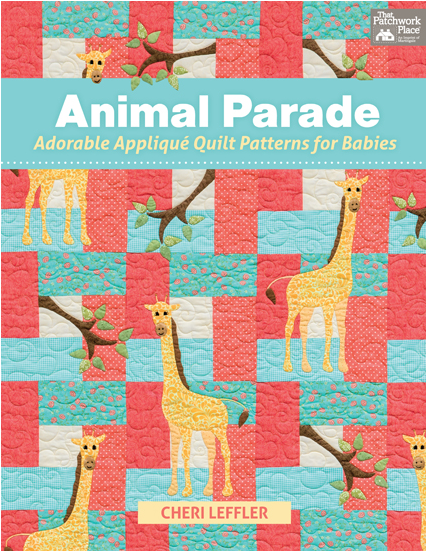 This month, with many thanks to Martingale, we have Cheri Leffler’s Animal Parade. 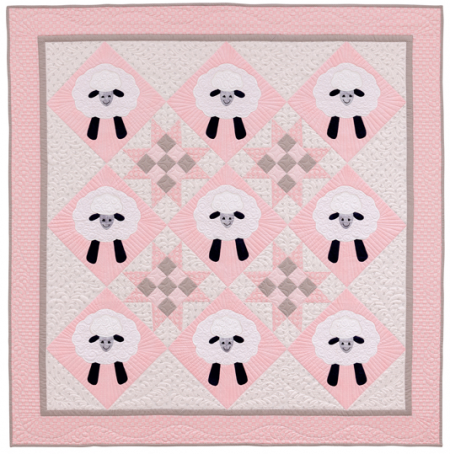 The subtitle of this charmer is “Adorable Appliqué Quilt Patterns for Babies.” I’d say, anyone young at heart would also qualify! 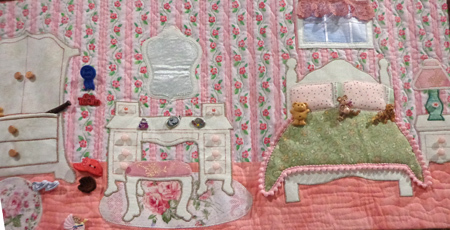 Cheri begins by presenting instructions for her favorite method of needle-turn appliqué using an overlay for placement. 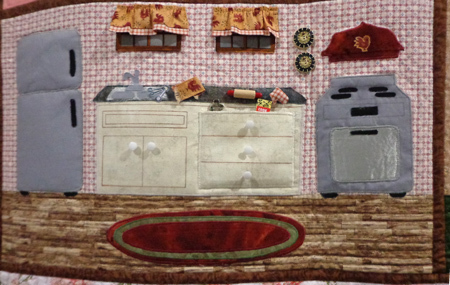 For those who prefer machine work, she also gives a quick overview of fusible appliqué. 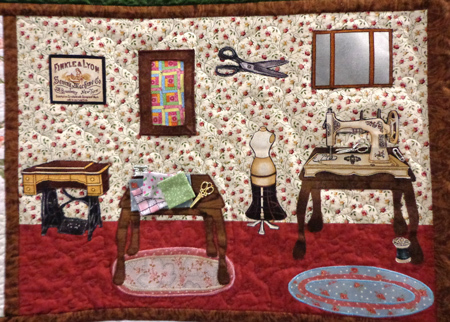 A little lexicon of embroidery stitches rounds out the method section. 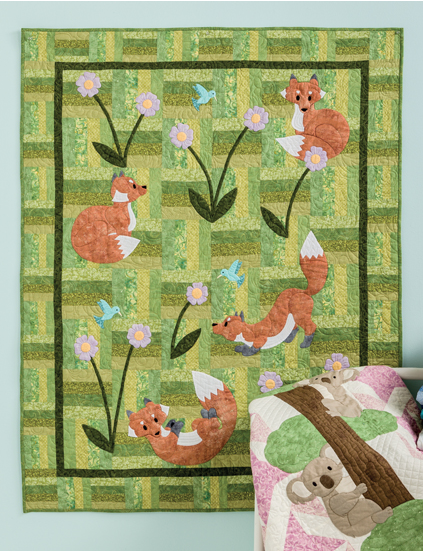 In this book you’ll find quilts featuring cheerful frogs, floating duckies, happy monkeys, wise owls, rollicking foxes, playful penguins, swimming sea creatures, tree-hugging koala bears, long-necked giraffes, and fluffy lambs! A whole menagerie of cuteness! 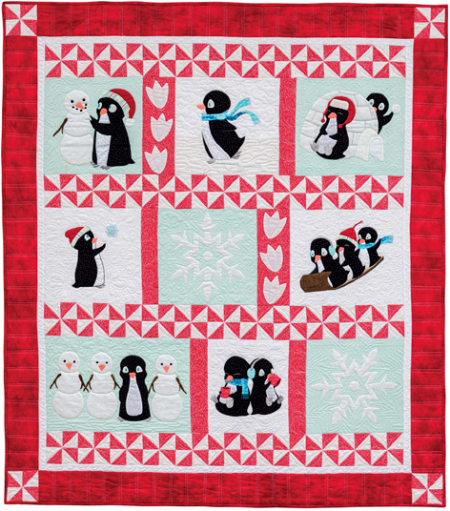 Each quilt design features the animals set against a sweet and simple pieced background. You can see the koalas peeking out at the foxes. The appliqué patterns are printed full size and… bonus… the book includes a pullout section for the designs that are too large to fit on a page. Excellent! 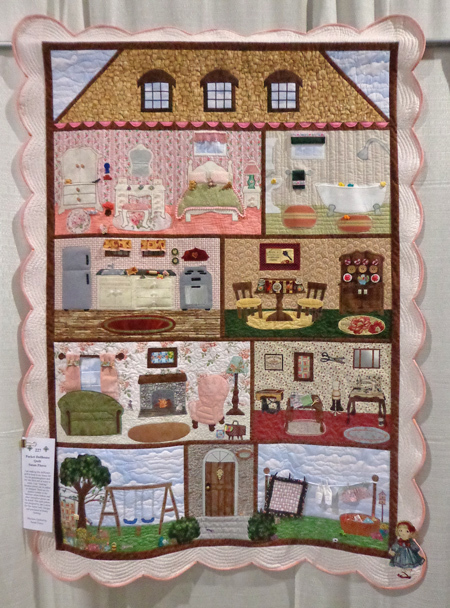 If you’d like a chance to win this delightful book of youthful quilts, please leave a comment here on this post by 7:00 p.m. California time on Friday, September 5. Open to U.S. mailing addresses only, and please resist the temptation to click “reply” to your email feed. To enter the drawing, come to the blog on the internet and leave your comment at the bottom of the post.